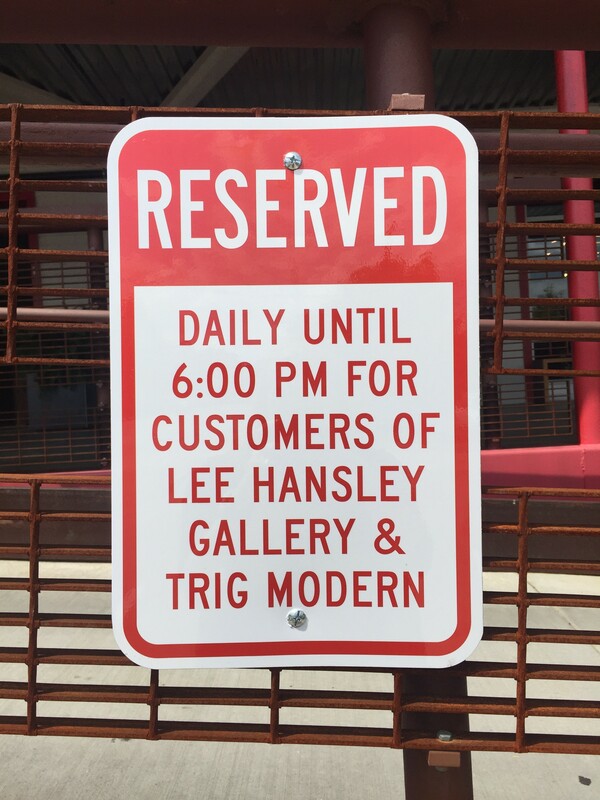 Grubb Ventures, developers of Dock 1053, have installed signs designated for customers of Lee Hansley Gallery and our neighbor Trig Modern. The spaces are reserved daily through 6pm. We hope this will be a convenience for our gallery patrons and visitors.